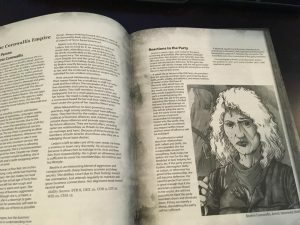 On my site, I cover RPG Kickstarters and, in November of 2017, Dark Naga Adventures’ Confronting Hastur for 5th Edition, the fourth part of the Haunting of Hastur series, caught my eye. 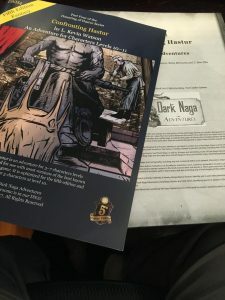 As I head to Origins Game Fair 2018, I want to take a minute to ask Kevin Watson of Dark Naga Adventures about his current Kickstarter for Dark Naga – Carcosa for 5th Edition. Kevin’s company, Dark Naga Adventures, is an imprint of Fat Goblin Games and the home of his Hastur-related opus. For this interview, I wrote some questions and Kevin polled Facebook for a few more. EGG EMBRY – Thanks for talking with us. Tell us what Carcosa is about. 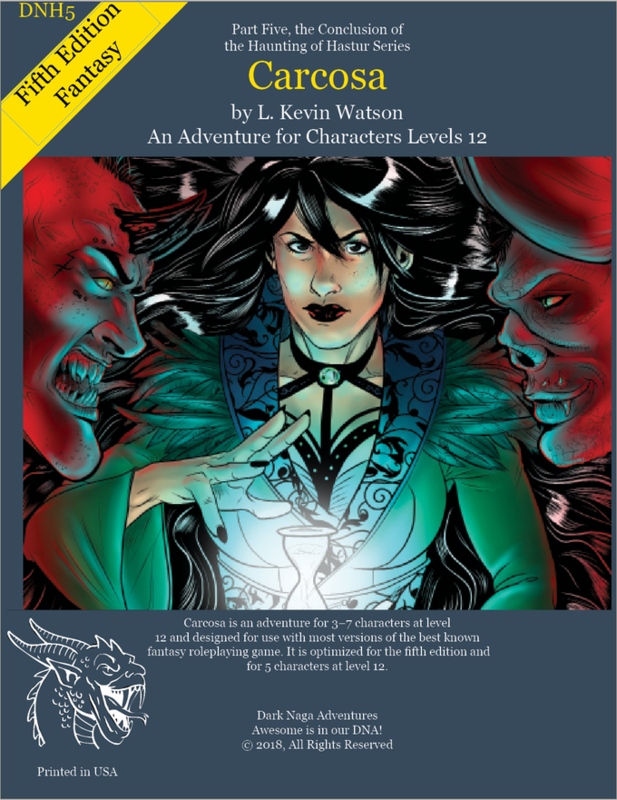 KEVIN WATSON – Carcosa is the final part of a five-part series of adventures that finds the party members interfering with Hastur and his attempts to establish a presence in their world. 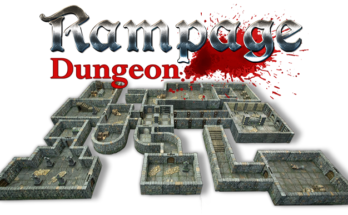 It is an adventure for level 12 players. Currently on Kickstarter. Ending July 1. The party members find themselves in Carcosa, trying to escape before they become permanent residents. EGG – What makes this adventure standout compared to others? KEVIN WATSON – All the products from Dark Naga adventures are nonlinear, more sandbox, and include ways to solve the issues beyond combat. So far, this adventure has been resolved with one combat, eight combats, and 12 combats. One might be the fewest number of flights possible; however, I’m sure somebody can find a way to complete it without ever rolling initiative. KEVIN WATSON – Of all the literature I was required to read in the 11th grade, “An Occurrence at Owl Creek Bridge” by Ambrose Bierce was the only thing that clicked. Before Lovecraft folded Hastur into his Old Ones, he was an Ambrose Bierce character. The key will be alone with my first exposure to the character and left a deep impression on me. The use of the character and the King in Yellow play in the first season of HBO’s True Detective revived those feelings. For me, he is the most horrifying of the Old Ones. 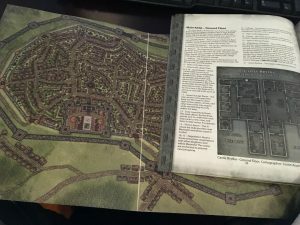 KEVIN WATSON – I’ve been kit bashing and writing Adventures for my players since the early 80s. It has always been a passion of mine. Storytelling is a favorite pastime. Four things drove me into publishing them. The intersection of the OGL, crowdsource funding and 5th Edition made the environment right. My lack of enjoyment of linear, often railroaded, my exhaustion with the “fight, fight, skill challenge, fight” adventure formula was the final piece. So here I am writing the content I wish was more prevalent in the market. Trying to be the change I want to see in the gaming world. EGG – This is far from your first 5e product. How many have you created? KEVIN WATSON – This is my fifth, and this one completes the Haunting of Hastur series. EGG– With that many 5e products (and a number of Pathfinder and OSR), do you see any system limits for the stories you tell? What makes this work better than other systems? 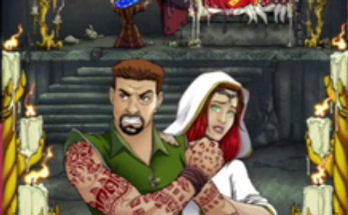 KEVIN WATSON – With a few minor changes to the standard way D&D is played, it doesn’t really have any limits. I’ve played entire modules were the players never drew a sword, never rolled for initiative. That change is allowing full experience points to be awarded for non-combat solutions to the conflict that is the encounter instead of a reduced XP for non-combat solutions. My position is the players solved the issue; it doesn’t matter if it’s by deed or by sword. EGG – Are you thinking about expanding to other systems such as Pathfinder 2e when it comes out? KEVIN WATSON – I’m open to other systems. Especially if I can find a partner to help with the conversions. I’ve talked about adapting the Haunting of Hastur series to ASSH, Pathfinder second edition, and Savage Worlds so far. The biggest issue with conversions is recouping the cost of conversion with sales. EGG – Your work is an imprint of Fat Goblin Games, how’d that come about? 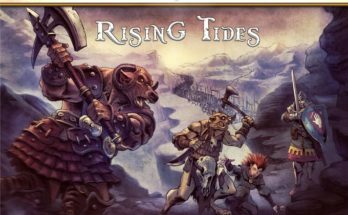 KEVIN WATSON – Fat Goblin Games offers a nice bundle of services in exchange for a small percentage. For me, this is a good trade-off. They are great project managers and have a substantial audience. Additionally, I enjoy a discount when commissioning one of them for freelance work. Rick was very helpful with the art including the cover of my first adventure and with some guidance on the layout. When I signed the deal, they had an imprint type contracts with some artist to provide stocker but no publishers. It’s been a really good relationship. EGG – Where can fans learn more about your Kickstarter and Dark Naga Adventures? 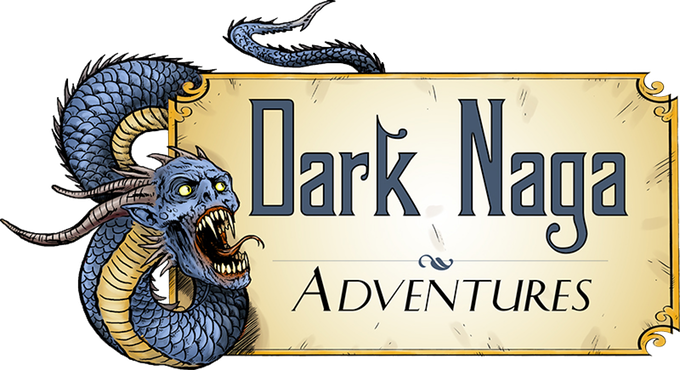 More about Kevin Watson: Kevin Watson is the owner of Dark Naga Adventures which is a small publisher focused on 5th Edition adventures based in Memphis, Tennessee. He has been gaming since 1980 when he played a cleric in a heavily home-brewed version of AD&D at a boy scout event. Moved to Basic D&D early the next year and behind the screen more or less permanently with the release of the Moldvay boxed set later that year. Over many editions, and many side treks into other genres and systems, he returned to Dungeons and Dragons just before 5th Edition started playtest under the title “Next” and began publishing for 5e in 2016.